Psoriasis – the autoimmune disorder characterized by patches of itchy, flaky, red, and often inflamed skin (known as scale or plaques) – needs little introduction. If you’re here, you most likely either experience psoriasis flare-ups yourself or know someone who does. 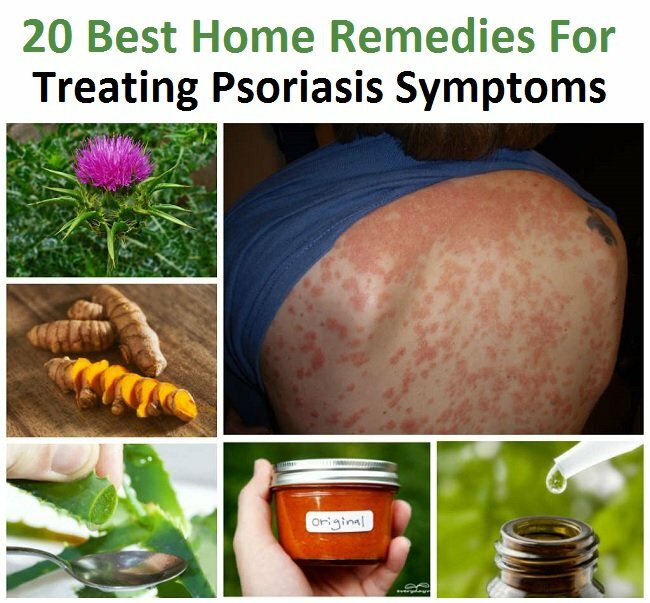 While there is no real cure for psoriasis, there are many natural home remedies which can temporarily relieve the symptoms, moisturize and soften plaques, and help to heal damaged skin. 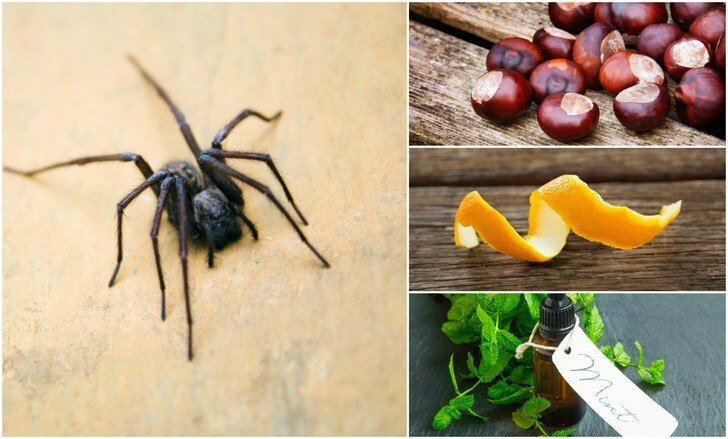 This article shares twenty of the best, scientifically backed, home remedies for treating psoriasis symptoms. Remember: Moisturize your skin immediately after using this treatment! For highest quality and maximum health benefits, we recommend Bragg Organic Apple Cider Vinegar, available from Amazon.com. For a long-lasting capsaicin cream which also contains moisturizing, anti-inflammatory essential fatty acids and anti-oxidants, Myomega Pain Relief Heat Therapy Cream is available through Amazon.com. 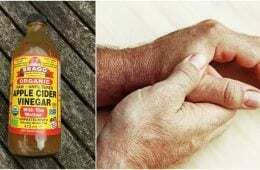 Or make your own Capsaicin Ointment using this easy-to-follow recipe borrowed from the Everyday Roots Book. The Everyday Roots book is an incredible natural living resource with over 215 non toxic and natural remedies and recipes. You can download a copy here. Both White Mountain Epsom Salt and 100% Pure Dead Sea Salts are available to order from Amazon.com. Oatmeal powder can be found at most health food stores or – if you would rather order it online – check out this 100% Natural Colloidal Oatmeal by Aveeno, available through Amazon.com. Also, always towel off by patting skin (not rubbing) and remember to apply a good all-natural moisturizer immediately after your bath. This cannot be emphasized enough. Keeping skin hydrated will help to remove plaques and speed healing. Apply a good all-natural moisturizer any time your skin starts to feel dry and especially after you bathe to keep skin from drying out. (Mayo Clinic) Extra virgin olive oil is one excellent choice for this purpose (you can even add it to your bath water for double benefits) as are many other vegetable-based oils. Apply liberally to skin affected by psoriasis to seal in moisture and deliver healing nutrients. You can also massage a tablespoon or two of oil into your scalp to help soften and remove plaques before you shower. For quality and purity, I recommend Bragg 100% Pure Extra Virgin Olive Oil. Another helpful tip is to run a small single-room humidifier (like this Honeywell model on Amazon) during the winter months to help prevent dry skin. Single-room humidifiers are also readily available from most large chain home improvement retailers. If you’re ready to experience the healing power of aloe, check out this highly recommended aloe-based Organic Psoriasis Moisturizing Cream by MetaDerm – available from Amazon.com. We recommend this NOW Essential Oils 100% Pure Tea Tree Oil available through Amazon.com. If you would like to try this natural remedy but you are adverse to eating fish, you can find Fish Oil supplements from most health food stores and vitamin shops. Alternately, you may order them online like these Now Foods Ultra Omega 3 Fish Oil Softgels available through Amazon.com. Note: Do NOT consume fish oil if you take blood-thinners as this combination can increase your risk of bleeding! With 350+ pages and stunning photos, you will be able to replace every single toxic product and medication lurking in your home with healthier, all natural alternatives. While there are many suggested dietary changes out there which are purported to help heal psoriasis and prevent future flare-ups, there is one that stands out above the rest: You’ve got to give up sugar. All of it. While this may seem like an impossible task (especially around the 48 hour mark if you decide to go “cold turkey” on sweets) most sugar is pretty bad for you anyway. Sadly, this will mean no more of those sinfully sweet fruits that many of us have come to love as a part of an all-natural healthy diet. Then again, according to many of the people who have successfully made the change; when it comes down to what you’d rather never have again: clear skin or sweets — the choice may not be as difficult as you think. Remember: Discuss any possible drug interactions with your doctor or pharmacist before starting any new herbal supplement! Milk Thistle supplements can be purchased at health food stores and vitamins shops, or try these Milk Thistle Capsules available to order from Amazon.com. While you want to avoid over-exposure to harmful UV radiation, your skin will benefit greatly from the natural vitamin D which it produces from exposure to sunlight. Use sunscreen of SPF 30 or higher to protect undamaged skin and don’t increase your time spent in direct sunlight by more than 20 minutes each day, up to three days per week. Chemical additives like the artificial dyes and perfumes found in many commercial personal care products are almost certain to exacerbate psoriasis symptoms. Try to purchase only all-natural products or those labeled “sensitive skin”, and remember to always carefully and completely read the labeling before applying any new product to your skin. For total control over the ingredients in your personal care products, check out these recipes for 17 Personal Care Products You Will Never Have to Buy Again! When planning your weekly diet, try to pick a handful of fruits and veggies from each color group. (Avoid anything sugary if you plan to tackle #11!) This will ensure that your body is getting a good assortment of the vitamins, minerals, and anti-oxidants which it needs to heal damaged skin and prevent future flare-ups. Eating a good assortment of fruits and vegetables will also help you to maintain a healthy weight which can further ease the discomfort of psoriasis. Turmeric — the fragrant golden spice that is a popular component in many Indian and Middle-eastern dishes — is derived from the rhizomes of Curcuma longa, an herb in the ginger family. Use Turmeric in your meals to enjoy the rich flavor, beautiful color, and all of the health benefits it has to offer. It may seem like a simple statement, but “Stay Hydrated” is easier said than done. In fact, the majority of people who suffer from chronic dehydration – characterized by fatigue, constipation, irregular blood pressure, frequent headaches, and (you guessed it) dry skin – don’t even know it! To help reduce the severity of psoriasis flare-ups, make sure you’re staying well-hydrated. The average recommended intake of water is around 64 ounces per 24 hour period, however there are quite a few factors that can influence this number. Check out this hydration calculator to get a better idea of just how much water you should be drinking every day. Need a little help (or a lot?) Check out these Unusual Ways to Quit Smoking by Jennifer Nelson of WebMD and Top 5 Psychological Strategies to help you quit by the Students’ Center of Health at West Virginia University. For a lot of people with psoriasis, stress is a big trigger. Here are a couple of effective ways to unwind and (hopefully) reduce the frequency and severity of your flare-ups. Sign up for a massage about once every other week. This is a fantastic way to relax that will not only help to treat psoriasis naturally, it’s also great for your mind and body. Even if you can’t afford a professional massage twice a month, try to convince a friend or your partner to help you out. Even a simple 15 minute backrub may be just the thing to help you unwind on a Friday afternoon. If you’d rather practice yoga in the peace of your own home, check out this introductory video by Rodney Yee – (my all-time favorite “video-Yoga” instructor) – Rodney Yee’s Yoga for Beginners available through Amazon.com. Before starting any herbal remedy to treat psoriasis, we highly recommend that you discuss these options with your doctor. Many herbal remedies will interact with other medications – sometimes dangerously. Also, if you are pregnant or breastfeeding, it’s best to avoid herbal remedies altogether unless specifically approved by a licensed obstetrician. When treating psoriasis, keep in mind that consistency is important. Make your psoriasis treatments part of your daily routine and stick to them. Remember: Always adhere to your doctor’s prescribed plan! No natural remedy can take the place of professional medical advice. If you’ve been prescribed medications for treating your psoriasis, do not discontinue using them without first discussing the option with your doctor. While it may take many months to see results, be diligent and eventually your skin will heal.